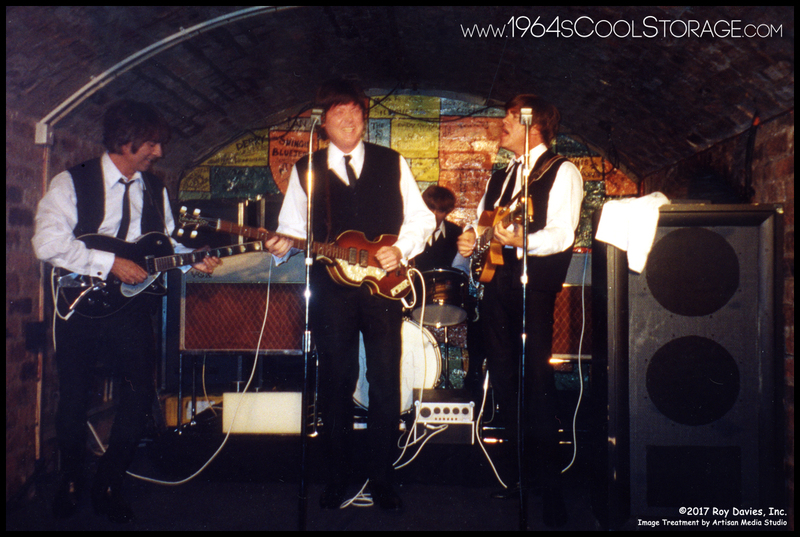 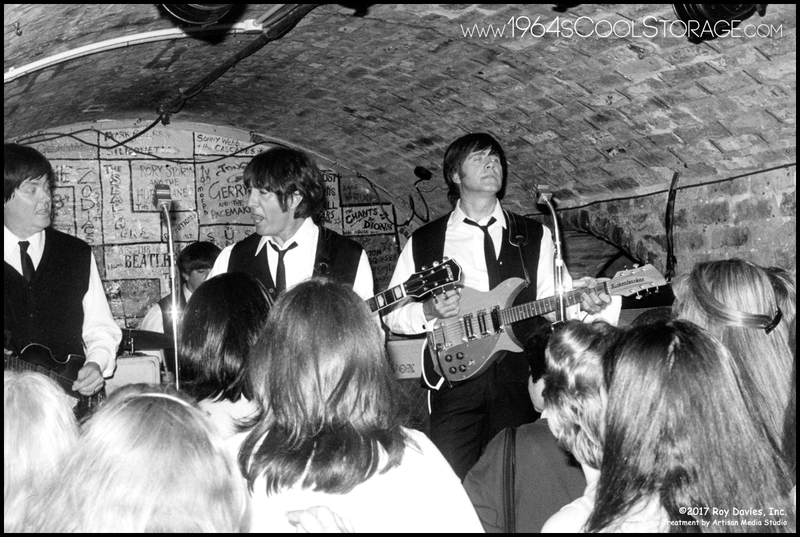 In August of 2001, we decided to make the trip to 'Beatle Week' in Liverpool, England to again be part of the festivities, but mostly to recreate a Beatles lunchtime show at the world famous Cavern Club. During the time The Beatles played The Cavern, their stage equipment changed and improved over the years. 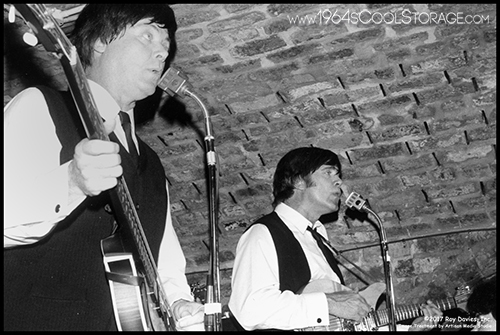 From Gibson and Fender amps to early fawn covered Vox amps and then eventually the black Vox amplifiers. 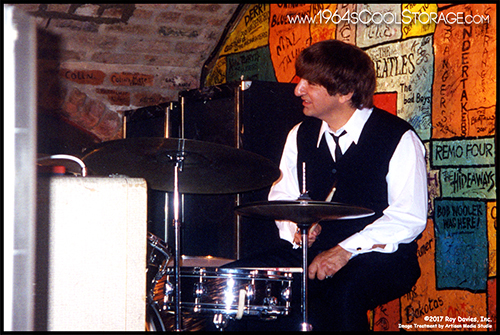 To give the most bang to the event, we chose to ship over some of the rarest pieces of Beatles gear for the project. 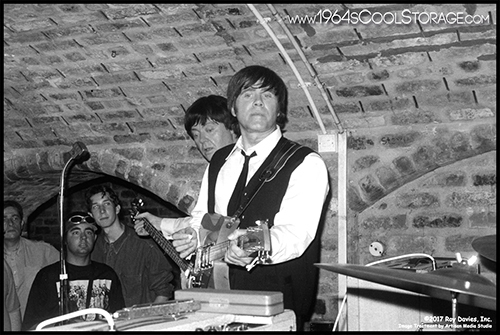 This included two original vintage fawn tolex, black panel Vox amps (an AC30 and an AC15), an original Premier Mahogany 'rootbeer' Duroplastic covered drum set, vintage Reslo CRH ribbon microphones, custom built PA cabinets and 'coffin' bass cabinet, vintage Quad pre-amp, blonde Rickenbacker 325, 1957 Gretsch Duo Jet, Hofner 'Cavern' bass, and an early 60s Gibson J-160E. 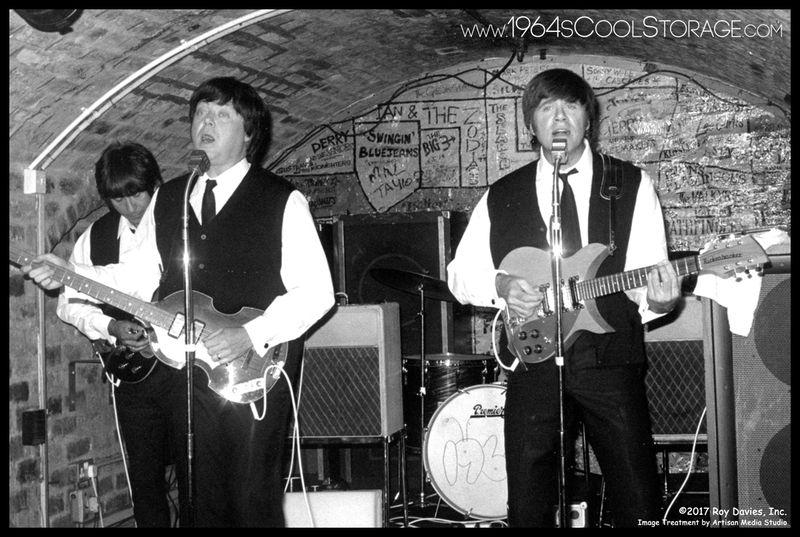 The folks at Cavern City Tours gave us the use of the place for the day and we made the most of our time. Removing and unwiring a mirrored disco ball hanging from the ceiling and assembling all our gear on the Cavern stage definitely gave us a glimpse of what the Beatles and other bands at the time saw and felt when performing at The Cavern. 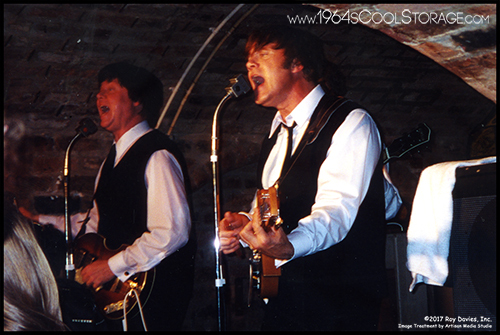 The pictures in this gallery feature the 2001 1964 lineup, Gary Grimes as Paul, Mark Benson as John, Jimmy Pou as George, and Greg George as Ringo. This was definitely a pinnacle moment for us to be performing in a venue and a city where everything 'Beatles' started. 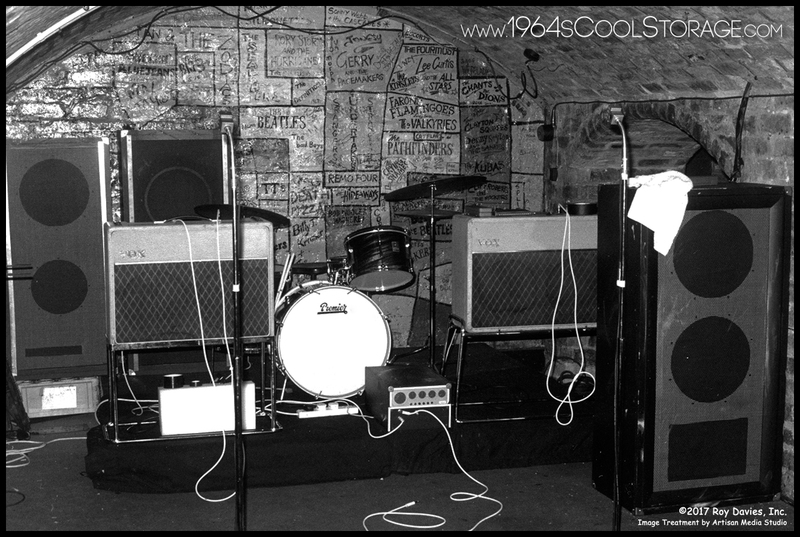 Check back here periodically at 1964coolstorage.com for individual pics and info of the gear in this gallery.